How To Return A Mattress - Which? Don’t get lumbered with a mattress you don't like. Whether it’s unsupportive, uncomfortable or unfit for purpose, find out how to return your mattress. Spending hundreds of pounds on a new mattress only to find you don’t like it when it arrives is disappointing to say the least. But not nearly as disappointing as finding yourself stuck with it for good. Unfortunately, many mattress retailers either don't have a returns policy or have one that's so short it doesn't give you time to really get used to a new mattress. Whether your mattress is damaged or just uncomfortable, bought online or in-store, follow our advice below to give yourself the best chance of getting your money back if you've bought a mattress you don’t want. If you're in the market for a new mattress, visit our mattress reviews. While receiving a damaged mattress is annoying, the good news is that you’re much more likely to get your money back if it arrived with a fault. Of satisfactory quality: the mattress must not be faulty or damaged when you receive it. 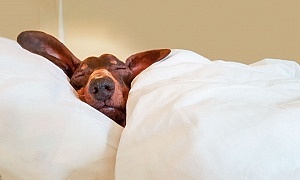 Fit for purpose: the mattress must be fit for sleeping on, and also suitable for any specific purpose you made known to the retailer before you bought it. As described: the mattress must match any description given to you and any samples shown to you at the time of purchase. If your new mattress doesn’t meet any one of these criteria, you can make a faulty goods claim against the retailer from which you bought it. As long as you reject the faulty mattress within the first 30 days after placing the order with the retailer, you’re entitled to a full refund. But don’t worry if more than 30 days have passed. Unless the retailer can prove otherwise, any fault found with the mattress in the first six months will be presumed to have been there from when it arrived. The retailer must attempt to repair or replace the product and, if that isn’t possible, give a full refund, if you make a claim after 30 days but within six months of placing the order. If it has been more than six months since you ordered the mattress, or if a fault has developed during use, check whether it’s still under guarantee. Find out more about getting a faulty product repaired or replaced. No matter how uncomfortable it is, if a mattress bought in a physical shop is not actually faulty or damaged, you can only return it if the retailer has a returns policy – which isn't a legal requirement. Fortunately, many retailers do provide a ‘goodwill’ returns policy, details of which will be on the retailer’s website and perhaps also on your receipt. But even that doesn’t necessarily make returning a mattress easy. Some mattress shops will only offer an exchange or store credit, rather than a full refund. Most high street retailers will only accept returns if the mattress is unused, so it will need to be in perfect condition, undamaged and in its original packaging. That means you won't be able to change your mind once you've slept on it. If you think you might want to return it, carefully read the terms and conditions for the retailer’s returns policy before you order your mattress. Use our list of Best Buy mattresses to reduce the risk of ordering a dud. 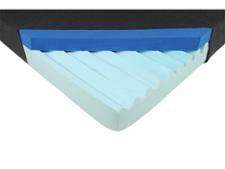 Create a shortlist of supportive and long-lasting mattresses and try them out thoroughly in the shop before you buy. Lie on each one for at least 10 minutes in the position you’d normally sleep in. Unlike buying in-store, buying a mattress online guarantees your right to cancel and get your money back. Even if your mattress doesn’t come with an official sleep trial, you are entitled to cancel any online order from the moment you place the order until 14 days from the day you receive it, thanks to the Consumer Contracts Regulations. You then have a further 14 days to actually send the goods back. If your order consists of multiple items, you have 14 days from when the last part of the order arrives to make your decision. You should get a refund within 14 days of either the retailer receiving the goods, or you providing evidence of having returned the goods (for example, a proof of postage receipt from the Post Office), whichever is the sooner. There are a few ifs and buts, though. You can’t cancel bespoke items, so if you’ve ordered a mattress that is firmer on one side than the other, you’ll struggle to get your money back if you don’t like it. And while you’ll be refunded for the initial delivery, it will only be for the cost of the cheapest delivery option, even if you paid more for faster delivery. You may also need to pay for the return delivery yourself, which may not be cheap for something as bulky as a mattress. You may also struggle to get your money back if you’ve unwrapped the mattress. For an online order that doesn't have a specified sleep trial, you can only handle the mattress as much as you would be allowed to in a shop. A deduction from your refund can be made if the value of the mattress has been reduced due to handling. The regulations exclude goods with a seal for hygiene reasons that's been broken. It will be difficult to claim that the mattress is still hygienic if you’ve unwrapped it and slept on it. The exception, of course, is any mattress that comes with a sleep trial. Read on to find out more. A growing number of mattresses now come with a sleep trial, during which time you are allowed to sleep on it at home and still send it back for a full refund if you decide you don’t like it. Some of these trial periods can be as long as three months, and some retailers will even collect the mattress free of charge. These trials were made popular by online-only mattress brands, such as Casper, Eve and Simba, which deliver their mattresses vacuum-packed and rolled in a box. You can then unpack the mattress and sleep on it normally, while still being eligible for a full refund. You don't even need to keep the box. More recently, we've noticed high-street retailers starting to offer similar trial policies. As ever, though, it’s essential that you read the terms and conditions of any sleep trial. For example, some trials don’t include delivery or are exchange-only, while others are only applicable if you use a mattress protector. Read on for the returns policies of some of the biggest retailers, or head to our round-up of the top bed-in-a-box mattresses, all of which come with a sleep trial. When returning a mattress of any kind, the key thing to remember is that you are returning it to the retailer rather than the manufacturer. That may sounds obvious, but it can be confusing because many mattress brands also act as retailers. For instance, if you buy a Silentnight mattress through the Silentnight website, then the details we’ve given below for that brand should be applicable, but if you buy a Silentnight mattress from John Lewis, then you'll need to check John Lewis’s own returns policy. 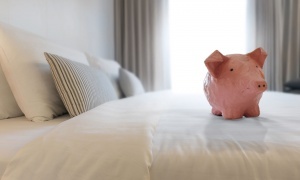 We’ve summarised the returns policies of some of the biggest mattress retailers below, but it’s always worth reading the full terms and conditions on the retailer’s website to be sure the policy hasn’t changed or doesn’t contain any loopholes. If you buy a new mattress from a Bensons for Beds store, you won’t be able to return it if you decide you don’t like it: after you have placed an order, you only have 24 hours to cancel it. If you order online, however, you can cancel at any time up to 14 days from having received it, provided it hasn't been used, as explained above. So you may want to try out a few in-store and then order online. Alternatively, if you order a new mattress, bed and mattress protector from Bensons for Beds (whether online or in-store), you can make use of its 40-night comfort guarantee. 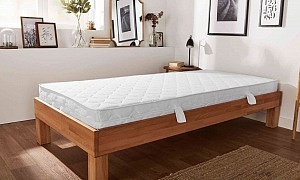 Provided you sleep on it for 40 nights within eight weeks of delivery, have proof of purchase and have used the mattress protector, Bensons will allow you to exchange the bed for another one. A 10% charge of the original bed’s value applies, though, and if the replacement is more expensive you will have to pay the difference. You won’t receive any refund if the replacement is cheaper than the original. Only one exchange per order is permitted. Find out how Which? members rate Bensons for Beds mattresses. If you order the Casper mattress through Casper's website, you can return it during the first 100 nights if you decide you don’t like it. Better yet, Casper will send a courier to your home to pick it up free of charge, before donating it to a local charity or recycling it and issuing you with a full refund. Find out how Which? members rate Casper mattresses. If you order a new mattress in a Dreams store, you have 48 hours from when the order was placed to cancel it and get your money back. If you order online, however, you can cancel at any time up to 14 days from having received it, provided it hasn't been used, as explained above. Even if you have missed these timescales for a refund, you may be able to exchange the mattress using Dreams's 40-night comfort guarantee. This applies to all mattresses sold at Dreams, apart from the Eve and those in the Sleep Essentials range. To make use of the guarantee, you must have slept on the mattress for at least 30 nights and you must use a mattress protector during this time. The mattress must be in good condition and not marked, misused or soiled in any way. A collection and redelivery charge of £49 will be applied and you must pay the difference if the replacement mattress is more expensive. If the replacement is cheaper, you will not be refunded. Only one exchange per order is permitted. If you order an Eve mattress from Dreams, you are still eligible for Eve's 100-night sleep trial, but you must use a mattress protector during the trial, and the return must be organised with Dreams directly. Find out how Which? members rate Dreams mattresses. 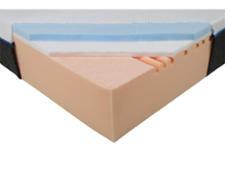 Emma sells two mattresses through its website: the Emma Original and the Emma Hybrid. Both come with a 100-night sleep trial, during which time Emma will pick it up free of charge and issue a full refund if you decide you don’t like it for any reason. All Eve mattresses ordered from the Eve website come with a 100-night sleep trial, so you’re free to unwrap and sleep on the mattress as normal for up to 100 nights and still get your money back if you decide it’s not for you. Simply email or call Eve to let it know you want to return the mattress, and the company will pick it up from your home free of charge and will issue a full refund. It will even take it back if the mattress is accidentally damaged during this time. All Ikea mattresses come with a 90-day trial period, as part of Ikea’s ‘love it or exchange it’ policy. If you decide you don’t like your new Ikea mattress within the first 90 days, you can exchange it once for another Ikea mattress. However, you must have slept on it for at least a month (as it can take this long to get used to it), the mattress must not be dirty, damaged or marked, and you must have your receipt. If you exchange it for a more expensive mattress, you must pay the difference. If the replacement mattress is cheaper, Ikea will give you the difference in store credit. If you bought the mattress in-store, you need to take it back to the Ikea store with a receipt to exchange it. It you ordered your mattress online and had it delivered via Ikea’s Home Delivery Service, the collection of the mattress and delivery of the replacement will be free of charge. Only one exchange per order is permitted. Find out how Which? members rate Ikea mattresses. In most cases, you’ll only be able to return a John Lewis mattress if it’s unused and in its original packaging. You will need to have the receipt and have owned the mattress for less than 35 days. The only exceptions to this are if the mattress is damaged or faulty, or if there was a specific promotion when the mattress was purchased. For instance, if you order a Simba mattress through John Lewis, you are still eligible for its 100-night sleep trial, but must coordinate the return through John Lewis, rather than Simba. Find out how Which? members rate John Lewis mattresses. 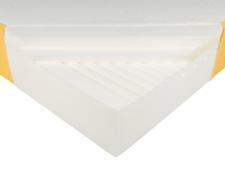 Leesa recommends that you try the Leesa mattress for at least 30 nights to fully adjust to it. Its 100-night sleep trial means that if you ordered it from the Leesa website and decide you don’t like it within the first 100 nights, the company will collect the mattress free of charge and then donate it to a local charity or recycle it, before issuing you with a full refund. As with any online purchase, if you order a mattress though Silentnight's website you can cancel within 14 days of receiving it, and will get a full refund. If more than 14 days have passed, you may be able to take advantage of its 60-night comfort guarantee, which applies to all mattresses and divans ordered through its online store. You won't get a refund, but you can exchange the mattress for another one. This guarantee only applies to the comfort of the product, and not the height, length, width or colour of the mattress. Silentnight asks that you try your new bed for at least four weeks before making use of the guarantee, and it will not accept mattresses that are marked or damaged in any way or have not been used in accordance with the care instructions. You’ll be required to pay the difference if the replacement mattress is more expensive than the original, but you will not receive a refund if the replacement is cheaper. Additional administration charges may also be applicable, and only one exchange per order is permitted. Find out how Which? members rate Silentnight mattresses. Any Simba mattress ordered through the Simba website is eligible for its 100-night sleep trial, although Simba recommends that you try it for at least 30 nights before deciding one way or the other. If you decide to return your Simba mattress, Simba will collect the mattress from your home. Once the mattress has been collected, Simba will issue a full refund. Find out how Which? members rate Simba mattresses.